Most people who don’t attend church are not making a conscious choice against it. Choosing requires awareness. Why are fewer people going to church? And what can we do about it? This may be the main topic of conversation among pastors today. For example, while scrolling through my Facebook feed last weekend, I came across multiple posts with sarcastic takes on how sad/interesting/ridiculous it is that people can get up early for a sale at Walmart or to sit on freezing seats for a sporting event, but they can’t get up for church on Sunday. There are so many things wrong with that kind of thinking I hardly know where to start. Shoppers and sports fans don’t choose to go to the store or to a game instead of going to church on Sunday. First, those acts are not mutually exclusive. Second, and most importantly, most people who don’t attend church are not making a conscious choice against it. Choosing requires awareness. And that awareness exists for fewer and fewer people every day. People aren’t deciding not to go to church on Sunday any more than they’re deciding not to drink a bowl of ketchup for breakfast. Sure, they could do it, but why would they? They haven’t rejected the idea of going to church. It simply isn’t on their list of options. They’re not lazy, they’re apathetic. They haven’t rejected the idea of going to church. It simply isn’t on their list of options. They’re not lazy, they’re apathetic. Until we understand this, we will never have a chance to reach this generation for Christ. As long as we keep complaining about people not attending church services we will continue to miss actual opportunities to meet them where they are. Guilting people into church attendance won’t work. Offering them a better Sunday morning religious show won’t work. Convincing ourselves that getting people to attend church is equivalent to getting them to commit to Jesus won’t work. 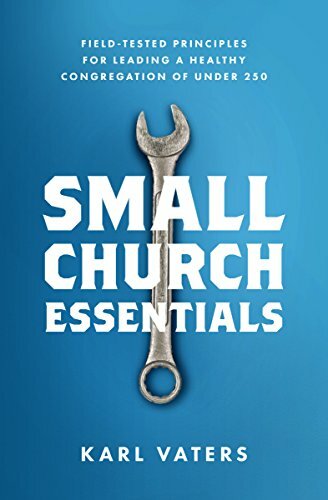 Church attendance or non-attendance is a less accurate measure of someone’s commitment level or spiritual maturity than we’ve convinced ourselves it is. Sure, gathering with fellow believers matters. If they’re believers to begin with. But if they’re not? Lack of Sunday morning church attendance is not an issue then. And we shouldn’t make it one. People who love Jesus want to gather with others who love Jesus. If they don’t want to, nothing will make them. If they do want to, nothing will stop them. Stop emphasizing guilt about church attendance. Start emphasizing the joy of belonging. The days of giving out ribbons for perfect church attendance is gone. (Yes, that was a thing!) Good riddance. Guilt no longer motivates. If it ever did. Only love can do that. And only love should. And even then, love doesn’t motivate anyone to attend church services. It motivates us to worship, to gather, to celebrate, to learn, to serve and to invite others into that same joy. That’s what we need to do. Copyright © 2018 by the author or Christianity Today. Click here to read our guidelines concerning reprint permissions. You can apply the skills God gave you without denying the passion he planted in you.